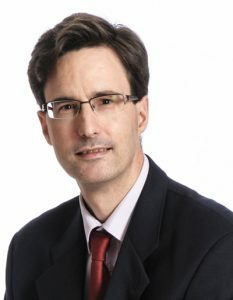 Rob M. van Dam is Professor, Leader of the Epidemiology Domain, Vice Dean (Academic Affairs), and co-PI of the PANDA programme at the Saw Swee Hock School of Public Health, National University of Singapore. He is also an Associate Professor at the Department of Medicine, Yong Loo Lin School of Medicine and Adjunct Associate Professor at the Department of Nutrition, Harvard T.H. Chan School of Public Health. His research is focused on the dietary determinants of obesity, type 2 diabetes, and cardiovascular diseases. The ultimate goal is to identify opportunities for the prevention of obesity, type 2 diabetes, and cardiovascular diseases particularly in the Asian context where the prevalence of these conditions is increasing rapidly. This research is mostly based on large-scale cohort studies integrating data on reported diet, dietary biomarkers, biomarkers of intermediate pathways, and genetic variation. In addition, he conducts dietary intervention studies, meta-analyses, and studies of the cultural and physical environment as determinants of dietary behaviors. He has published more than 200 peer-reviewed articles, has provided consultation to the WHO, and has contributed to dietary guidelines in the Singapore Clinical Practice Guidelines for Lipids and Obesity. In his free time, he likes to read novels, visit art museums, take online courses, consume polyphenol-rich foods and beverages, and go to the park with his family. You can contact him at rob.van.dam@nus.edu.sg.